I was very pleased with the professionalism and pricing. Very affordable and conveinient. I will definitely use their services again? Very friendly and helpful. Would recommend them to a friend! The place is immaculate and well lit! Shana went over and beyond to help me with not one but 2 units. Shana was very helpful, she provided me with great customer service and advice. Great people and excellent service!!! The staff was very friendly and set us up with a storage building on the same day. You cant be at their price! Love having my new storage unit in such a convenient location and will probably get another unit soon. Staff are very nice and helpful! Excellent customer service. Shana explained everything well. They do not provide needed information, are not responsive and do not care about their customers. Shana was awesome to work with! Unit was clean and ready to move in! Very easy access from the Blvd and the Interstate! Great, and friendly! Will recommend. Modern Storage made it easy to reserve a unit online. The price for the unit is very reasonable. The site is very clean and the staff is friendly and willing to help with any needs. Very friendly staff. Quick and easy check-in. Very clean. Very nice people, very clean and convenient location. Easy to rent online. Location is convenient and the staff are very kind and helpful. I reserved the unit online and the checkin process was quick and easy! The staff contacted me within hours after making the reservation online. I was able to get all of my paperwork completed and unload my first load of things into my unit is 30 minutes or less!! Very friendly and very easy to access!!! Mrs. Amber is very friendly and energetic. The prices is also reasonable and the front office is clean and organized. I was so impressed with our customer service and follow Up communication. Made the process easy and no stress. honest people is very debatable !!!!!!!!!!!!! The staff was very helpful. The facility is very nice. The office personnel were friendly, knowledgeable, and helpful. I felt very comfortable renting storage from this company. The pricing was very fair for what was offered. When you need storage be sure to call Modern Storage. Excellence in service, safety and support. Amber is so helpful and truly cares about clients. Wish I still lived in Maumelle to do business with her. Great manager and storage facility. I can always count on GREAT customer service from Amber, very pleased! Great place to rent from, friendly and honest people. Keep up the great work. The location is perfect so close to I-430. The facility is well maintained, and the manager is always helpful. The manager, Amber, is a great person to work with! easy access, friendly and helpful staff. Amber is a AMAZING! The manager, Amber, is amazing! Whenever I do business with ANYONE customer service is ALWAYS a priority. So glad the mananger, Amber, makes it her priority as well. She's very friendly and very helpful in every way. The lady working the front desk was so helpful and pleasant! You can tell she really does enjoy her job! Fine customer service, skilled, friendly, positive, approachable staff!! Absolutely the best place to rent, look no further!! This facility is not only clean, beautiful and conveniently located. Amber the manager is one of the friendliest and most helpful people I have met. 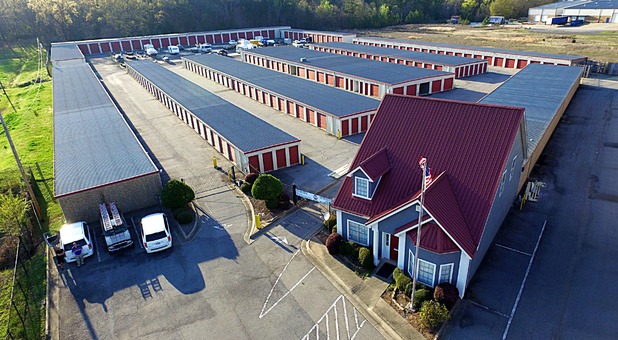 Be sure to choose Maumelle Blvd storage for your next next move! !